The perfect transitional clothing item for spring! 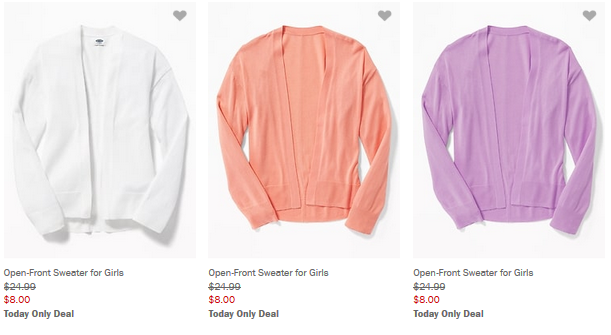 Old Navy has women’s cardigans for $10 and girls cardigans for $8. There are lots of fun colors included! The sale is valid 3/23 only. Shipping is FREE on orders $50+.